We always want to offer comfortable and luxurious amenities to your backyard and patio while providing our clients with a custom design that fits their budget and needs. At Bobco Custom Pools & Patios, we specialize in outdoor kitchens in Central Florida. Our kitchen designs, pergolas, decks and pavers stand out above the rest. We also carry a large selection of beautiful outdoor features to enhance your living experience. As an experienced and knowledgeable general contractor, our staff is here to offer you the best in construction, design and customer service. All of Bobco’s outdoor kitchens are completely customized, made to the costumer’s specifications. 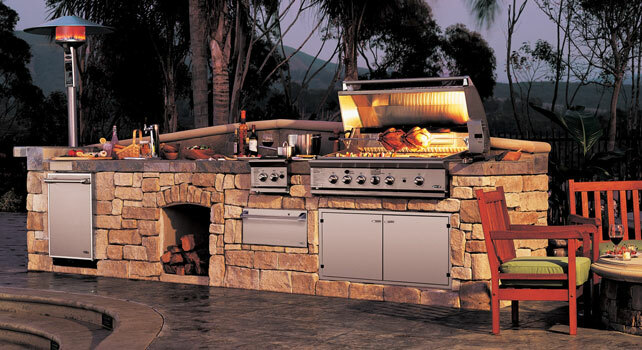 Our outdoor kitchens are constructed with the best materials and craftsmanship in the industry. Contact us to get a quote for your backyard project!